Roshar is a world of stone and storms. Uncanny tempests of incredible power sweep across the rocky terrain so frequently that they have shaped ecology and civilization alike. Animals hide in shells, trees pull in branches, and grass retracts into the soiless ground. Cities are built only where the topography offers shelter. After finally finishing this book I can sit back and really think on it. I know when you see the page count, a whopping 1,252 pages, you are likely to shy away but I must ask that if you love epic fantasy please give this one a chance. 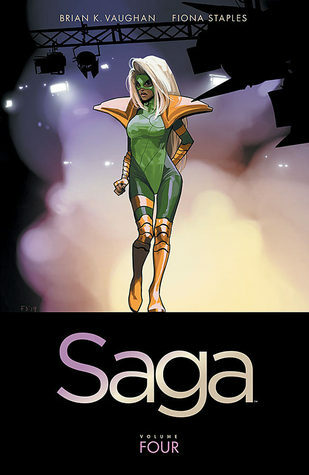 It’s massive in size but there were very few chapters that I felt were “fillers” and now that I can see it all as a whole it really does feel like most of it is in fact important. But I’m getting ahead of myself. First let’s talk about the huge world Sanderson has created. One of my favorite things about epic fantasy is that it is truly epic in its scale. The author will give you not only the story, but geography, art, and literature to further the depth if the world. Sanderson does this perfectly. He gives you such rich detail in the story that you can easily imagine this world he’s created and then to add on that he gives you short quotes from books within that world at the beginning of every chapter, he gives you detailed sketches of objects and wildlife, and of course as with all epics he gives you a map and a glossary. I do have a recommendation if you plan on buying this, if you want to see the sketches in their best quality get the hardcover edition. I have the paperback and some of the written words are a tad hard to see in it. I will say that in the beginning of this you will be a bit confused as it opens with a chapter right in the middle of a very important event, and you will be introduced to a concept called Lashing. It took me awhile to get what was going on with that aspect but after a few chapters for that particular character you become somewhat familiar with it. There is also new types of creatures and inventions to feast your mind on. The characters are fantastic as well, and they each come with their own chapters through out the book. There are a few chapters for those of lesser import but the most important and main focus characters are: Kaladin, Shallan, Dalinar, and Szeth. Each gives you a different perspective of everything that is occurring and their reactions to it. I usually don’t particularly like POV changes in a book but this is the perfect way to tell this story as you get even more depth and it was extremely fun to put pieces together as it unfolded. None of the characters are truly all that similar and so they bring something unique to the table in each chapter, and I found myself looking forward to each POV change. My favorite characters over all are Kaladin and Wit, they bring a certain amount of power to the book all on their own. As a main character Kaladin has more opportunity to shine than Wit did but Wit definitely left a lasting impression thanks to his witty and sarcastic persona. Overall this was a fantastic book and I couldn’t recommend it more. 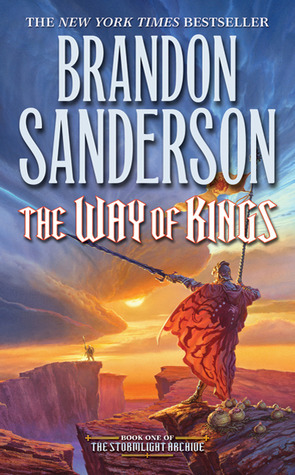 If you enjoy books like Lord of the Rings or Wheel of Time then I suggest you find a copy of The Way of Kings. They even a version that is split into two books (part 1 and 2) for ease if you fear a larger book. 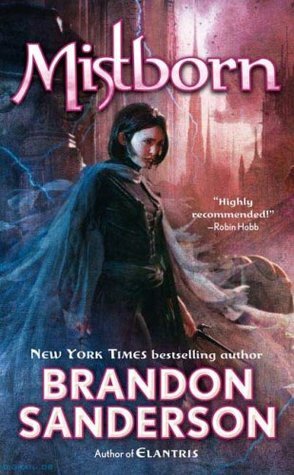 I’ve read only one other book from Sanderson (Elantris) and I adore it as well, so I would definitely say that it’s worth grabbing and continuing on to book two when it’s released. Image | This entry was posted in Book Reviews (2012) and tagged 5 stars, fantasy, review. Bookmark the permalink.